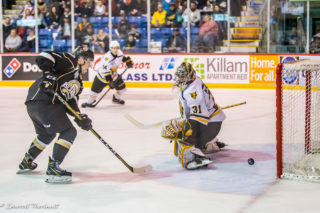 The wins keep on rolling and the confidence is high for the Charlottetown Islanders. 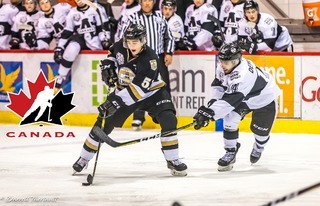 They defeated the Quebec Remparts by a score of 3-1 after 3 straight goals in the second period. For the Islanders, that’s now nine games in a row without a regulation loss. It was a slow first period on both sides of the ice, with only a handful of quality opportunities to spare. It didn’t take long for the Islanders to break that deadlock in the second, however. On a powerplay that carried over from the first period, Pierre-Olivier Joseph would take a point shot that would be deflected by Keith Getson. The puck would flip up and over Remparts starter Dereck Baribeau. For Getson, that would be his tenth goal of the season, and first since a two-goal performance against Bathurst on November 17th. Daniel Hardie would extend the lead for Charlottetown just three minutes later. Getson would ring a shot off the post, but Hardie would find the rebound and pot the puck in the open cage for his 17th of the season. The action in the second period slanted heavily in favour of Charlottetown throughout the second period, racking up chance after chance on the visiting Remparts. The relentless pressure would pay off once again in the second, as Hardie would collect a deflection right in front of Baribeau and find paydirt, giving the Isles a 3-0 lead heading in to the third period. The Remparts would find their feet again in the third however, as Pierrick Dube would get the away team on the board with a breakaway goal. For Dube, that would be his eighth of the season. The teams would trade glorious opportunities throughout the final period. Both netminders, however, were up to the task; Dereck Baribeau and Matthew Welsh were stone walls between the pipes for their respective teams, coming up big when called upon. Welsh came up biggest in the final few minutes of play for his team, making a number of key saves with the Islanders down a man thanks to a Lukas Cormier penalty and a Quebec Remparts empty net. His heroics would preserve the Islanders 3-1 victory. Welsh would finish the game with 34 saves for the Islanders. 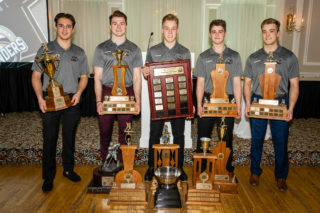 Getson, Hardie, and Pierre-Olivier Joseph would all post multi-point games for the Islanders. Welsh was quick to also credit his teammates in front of him for making sure the shots were easier to save. 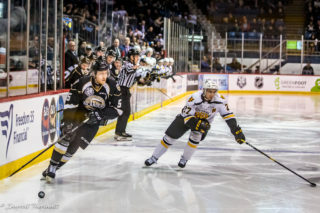 The Islanders hit the road tomorrow night for a big Friday night tilt with the Moncton Wildcats, their first visit to the brand new Avenir Centre. Following that game the team will be back home Sunday afternoon to take on the Halifax Mooseheads at our annual Teddy Bear Toss game. 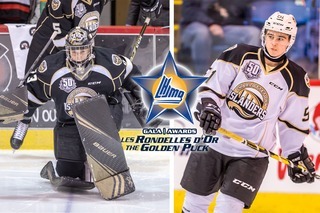 Tickets are available at the Eastlink Centre box office, by phone at 902-629-6625, or online at https://boxoffice.eastlinkcentrepei.com. We’ll see you there!